The cornerstone component of AASL’s National School Library Standards is called the Shared Foundations for a reason! Talk with your school librarian about ways to enrich your lessons together and facilitate authentic learning experiences through the school library. 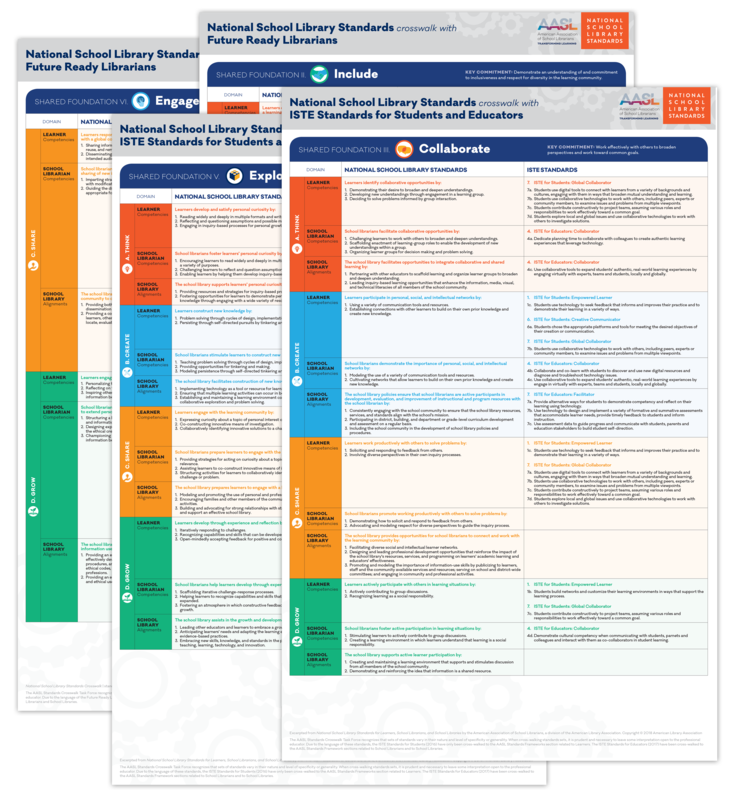 AASL’s series of crosswalks between the National School Library Standards and other sets of national teaching and learning standards will help you and your school librarian create stronger alignments through your lessons. Spark conversations with your school librarian about your shared goals and priorities. 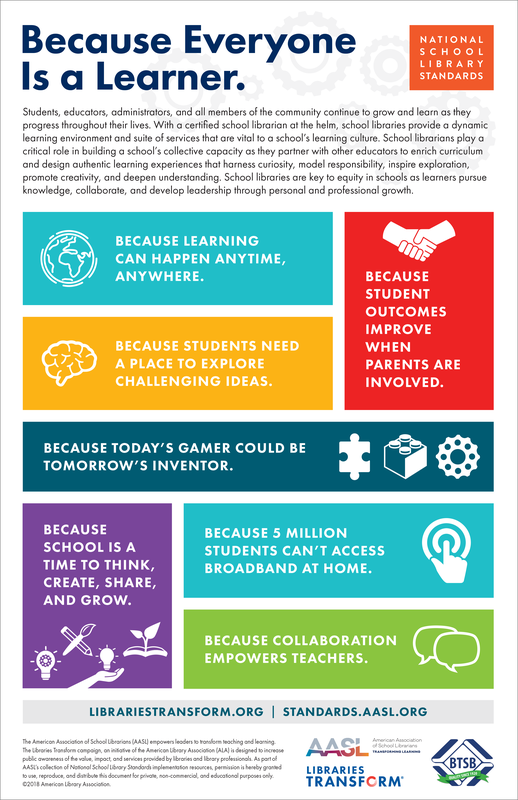 The Because Everyone Is a Learner infographic highlights several ways school libraries empower learners to Inquire, Include, Collaborate, Curate, Explore, and Engage. AASL and ALA’s Libraries Transform are collaborating on a campaign that will extend beyond this “Because Everyone Is a Learner” infographic. School library-focused Because statements, supporting data, and downloadable graphics will be available at librariestransform.org.